I have some prizes lined up and I'll have the prize page posted by late Tuesday, or by Wednesday. 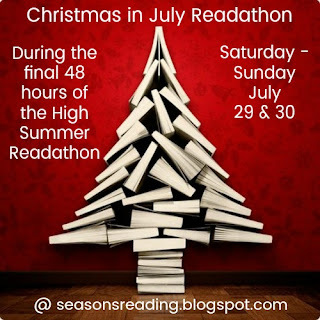 Don't forget, during the last weekend of the readathon, we are having a 48 hour Christmas in July Readathon! Don't worry...you do not have to participate if you're not IN to Christmas, but if you are, this is for you. Also, you can even choose to read Christmas books during the entire High Summer Readathon. I'm flexible! 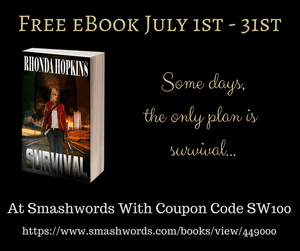 My friend, author Rhonda Hopkins has two of her books on offer for free this month! Her Christmas short story, The Gift (perfect for the Christmas in July 48 hour readathon!) 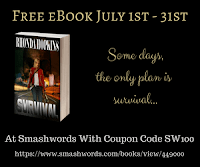 and her zombie horror novel, Survival. 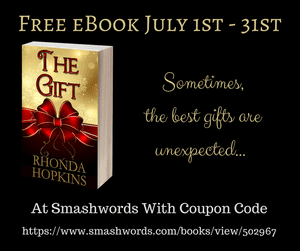 Click here to visit Rhonda's page for the details on how to grab your free eBook(s). No strings attached! I will post a mid-event check in post next Sunday. 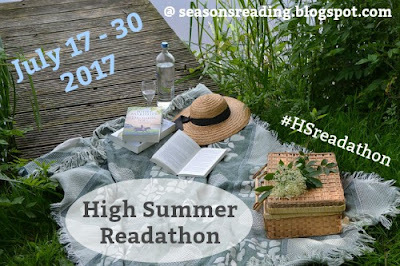 Our hashtag for the read-a-thon is #HSreadathon ...and don't forget about our Facebook group! I think that about covers it. Happy Reading! Thanks for mentioning my books, Michelle. I hope those who get them enjoy them and that everyone has a great two weeks! Yay!!!!! Can't wait to get my read on!